darling! thanks for sharing the pattern. So cute! Thank you very much for sharing this pattern! 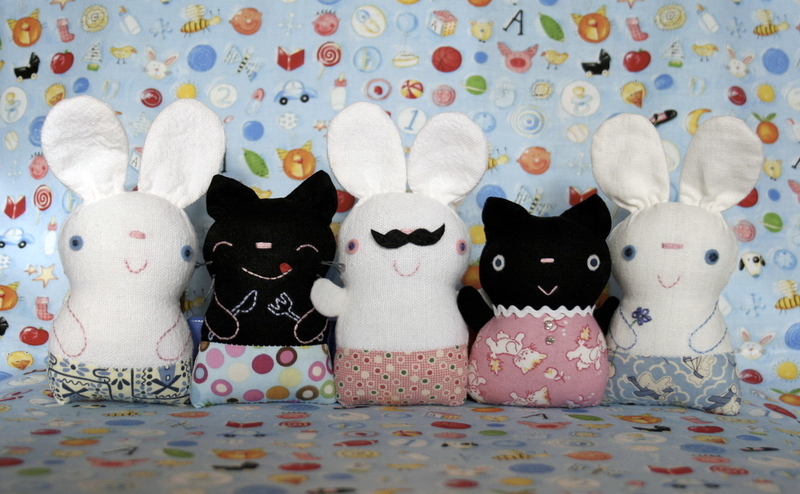 I am surprise to saw that how cute the pattern & they easy to make I will also try for make good toys likt these.thanks to pattern. Thanks for sharing. They're very very cute. They are both so very cute and my daughter will love them! Thanks for sharing the patterns! I know you posted this a while ago - but here's mine! I work for an optometrist who participates in the Infantsee program -- a program that offers free initial eye exams to babies under a year old. He found a picture of your Chibi kitties and rabbits and asked me if it would be possible to make a few to give away to the babies as a sort of prize. I tried to download the pattern but it doesn't go anywhere. Is it still available as a free .pdf download? I'd appreciate any info. Thanks in advance!! Oh my goodness. I love the black kitties. What adorable little guys. 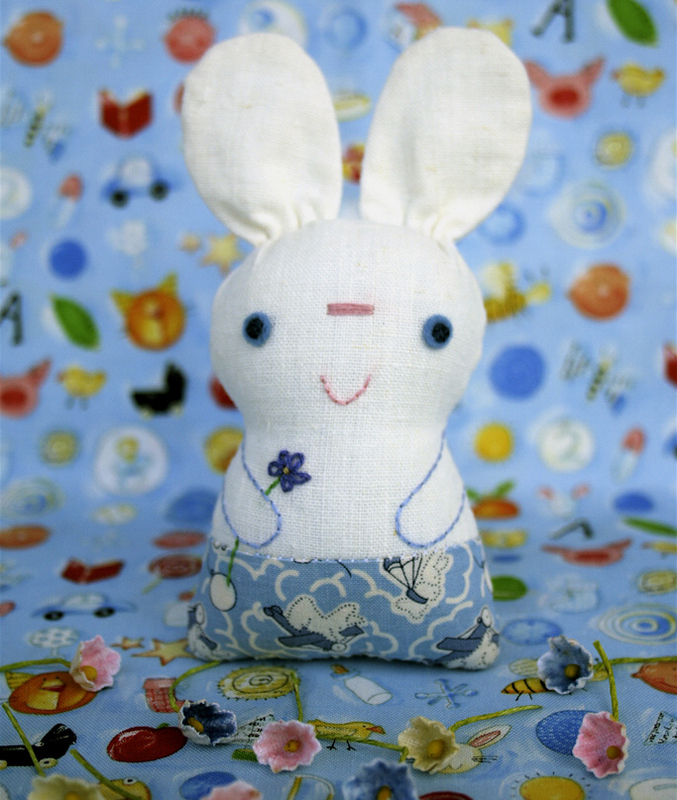 I started making dolls back in September of 2008. So far I've only made 6 but I love it. I made 2 bears the other day.... so much to learn. I'm looking forward to it though. I was warned before I came to your site, if I don't like cute don't come here. Good thing I like cute huh? So very cute. Thank you so much for sharing your pattern! Beutiful!!! Thank you so much for the pattern and tutorial! These are perfect for a project we plan for teenage girls--making little bunnies for children in the hospital for Easter.